This app offers social content which a reader can personalize on his own. He can do so simply by choosing the topics and subjects of his news screen. The app use refines algorithms that helps in the screen lining of the desire content from web and social media/social feeds can be retrieved. The reviews of the apps give it a ranking of 4.6 out of five, from the reviewer of 1,328 reviews in total. Out of these 910 reviewers rated the app 5 stars, 316 of viewers rated the app with 4 stars and the other 102 ranked it in between 1 to 3 of star rankings. The reviews of the app compliment the perfection of this app from different perspective. The objectivity and perception of the features that allow display of the topics of interest of readers is precise and also ensure authenticity as they are retrieved from genuine sources only. Yet, the only concern users have posted is that the app needs updated models of phones for flawless function. Flip board is the second most preferred app that offers the users personalize news feeds with the feature that gives the impression of flipping pages. When it is about the use, the app is much like that of Prismatic. It also offers custom style to develop the structure of the areas of interest. Also the content is retrieved from authentic sources. The only difference in between the two apps is that the screen of Flip board is derived with the updates of the other users such as that of the feature of Tweeter. The review of statistics grants the app the rating of 4.5 stars out of five with a review of around 963,838 users in total. Out of these 618,554 rated the app with 5 stars. Whilst, 223,826 rated the app with 4 stars, the rest of the users rated the app with 3 stars and below. Yet, the highest number of reviewers compliments the app with 5 stars. Those who are less satisfied with the app consider the features of flipping a bit problematic. Feedly is also much appreciated app with the same features. The only difference of this app is that it allows 1 to follow and keep attracting of blogs at once place. The most interesting feature this app offer is that of a follow of design blogs and its integration under the feed section in “All options” this selection can be arranged in a number of models and format that makes it convenient for users for store and use the design and search for blogs. The average rating of this app shows a ranking of 4.5 stars. The net reviews of this app is of 245,725 reviews in total with a distribution of 164,117 reviews of 5 stars, 57,404 reviews of 4 stars and the rest reviews marks 3 stars and below that. The app is appreciated for its import feed setting and is suggested as a replacement of google reader by the reviewers. While, the negative features highlighted by the reviewers indicates over the complex structure of the app when it is about the business contexture and monetization. Appy Geek is one of the recently launched app dedicated for tech news. It offers distinct features that allow syndicating of news app from the elite publication model of technology such as that of Tech Crunch, Verge, etc. The app is much appreciated by the designers and developers. Its reviews depict the average rating of 4.5 stars granted by the number of 141,864 reviews. This application can be installed and used on smartphones and tablets other than Android / iOS. It is much appreciated on business forums. The app is officially connected to Linkedin. 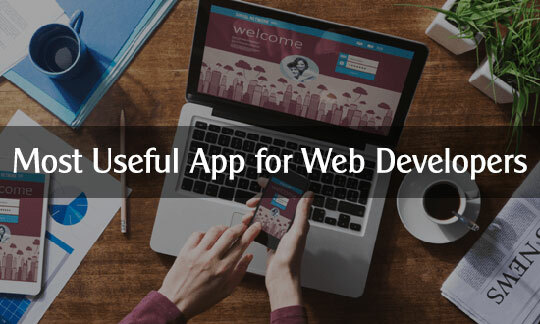 Although, long presentations and document are difficult to be reached with mobile application of the application. Yet, this app is the most appropriate when considered about immediate access at mobile options. It has been granted a ranking of 4.2 stars with a review of 106,789 users. This article is written by Maryam Taylor, a Manager Research Writer in a UK based company who provides Dissertation Writing Services. Her aim is to publish a quality content on different topics also she want to spread the technical knowledge to public.